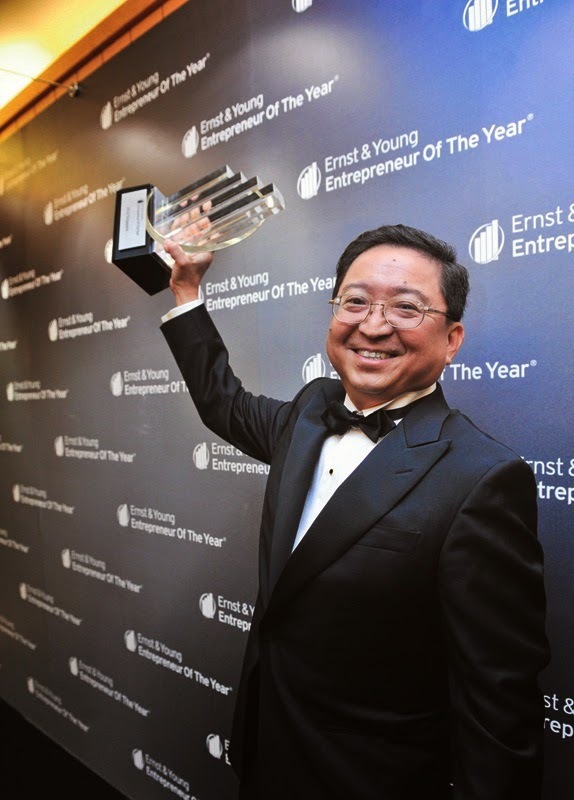 This week, I added John Lim, CEO of ARA Asset Management into my "List of Admired People". I first came to know about ARA Asset Management Ltd listed in SGX, when I invested in Suntec Reit last year. While I heard and read positive things about ARA, I had never delved deeper into this company until few days ago when I read ARA's annual report. ARA is an Asian real estate fund management company focused on the management of REITs and private real estate funds. ARA currently manages a diversified portfolio of REITs spanning the office/retail (commercial), industrial/office, logistics and hospitality sectors. These include Fortune REIT (dual-listed in SG and HK), Suntec REIT and Cache Logistics Trust (listed in SG), Hui Xian REIT and Prosperity REIT (listed in HK) and AmFIRST REIT (listed in M’sia) and two privately-held REITs in South Korea. In addition, the Group manages several private funds investing in real estate in Asia. Looking at ARA ten years track records below, it is pretty obvious why it is undeniably one of the best in the business. ARA started from almost zero 10 years ago to S$1.5 billion in market cap today. ARA was named as one of “Asia’s 200 Best Under A Billion” by Forbes Asia in 2010 and 2011. What catches my attention more, is not the company itself, but the man behind the success story. He is John Lim, CEO of ARA. Lim left his salaried job at the age of 45, invested S$700k of his own money while Hong Kong property conglomerate Li Ka-Shing-backed Cheung Kong Holdings pour in $300,000 to start ARA in 2002. Read more of John Lim here. His self-made success having grown up from HDB-two room flat with parents and 5 siblings worked during all the school holidays when he was a student, doing odd jobs in factories and such, just to earn pocket money. His strong emphasis on integrity, hard work and responsibility. His engineering background going into real estate by chance and excel in it. His courage to leave his high paying job at the age of 45 to pursue his entrepreneurial dream. His never-say die attitude having needed to overcome the SARs crisis, the same year he incorporated ARA. Lim triumphs over the crisis with success in Asia first cross-border listing of ARA’s Fortune Reit in Aug 2003. His ability to learn from the both Asian Financial Crisis and SARs Crisis and navigate the later crisis better. 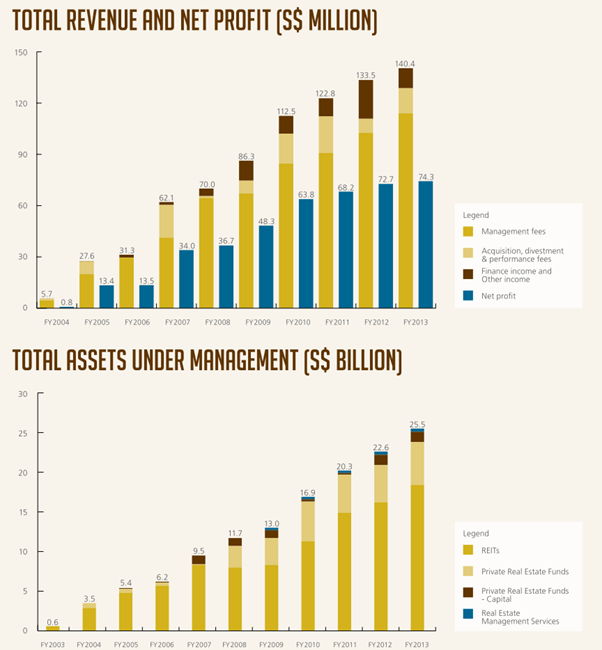 During Global Financial Crisis, ARA grew its assets under management from S$12 billion to S$17 billion. His many Firsts. First Asian Cross Border Reit (Fortune Reit - 2003), First Commercial Reit (Suntec - 2004), First Private Sector Reit on HKG (Prosperity Reit – 2005), First Renminbi Reit on HKG (Hui Xian Reit – 2011). His ability to rolled out at least one new Reit or private fund every year since its inception. His recipe for success: Passion, People and Partners. He is still the same John Lim, he proclaimed. "In every career cycle there are ups and downs. When you are at the top, don't be too arrogant. When at your low point, don't give up. I never gave up. That's my simple philosophy," – John Lim. What drives the self-described workaholic? "Passion," he answers definitively. "But behind the passion and success is sacrifice. You especially sacrifice time spent with the family. At least with passion, you will find that all this blood, sweat and tears are worth it." – John Lim. Yet for all of Lim's material achievement - he is one of Singapore's 40 Wealthiest according to Forbes - he has this to say: "I still go to Jalan Tua Kong for bak chor mee or Tiong Bahru Market for kway chap. Life doesn't change. Why should it?" – John Lim. It is without a question that I cannot hold a candle to John Lim and also never dream of being as successful as him. Yet, we do share some very very small similarity at the least. I also grew up in a two room HDB flat, have an engineering degree but find success in sales and management, gone through GFC at important points of my career and overcome it. Coincidentally we share the same family name “Lim”. John Lim is an inspiration to me. With his philosophy of integrity, passion and hard work as benchmark, I will continue to search and work hard for “my happiness” in life. In any case, I still have 10 years before I reach 45!